Surprised you can shop online for funeral caskets? As more and more people go online to purchase funeral coffins and caskets, the funeral director has seen his business advantage eroded by the Internet. In the book, Freakonomics, authors Levitt and Dubner, state; "Consider a scenario in which your loved one has just died and the funeral director - who knows that you know next to nothing about this business and are under emotional duress to boot - steers you to the $7000 mahogany casket." Our emotions run pretty high at a time like this and it is easy to overspend. It is a good idea to bring along a friend to counter any non-rational spending. Consumers are also discovering that they can log onto the Internet and buy that same casket for several thousand dollars less and delivered overnight. You can view much cheaper models the funeral director failed to even mention. Or you can consider the carbon footprint, and select an eco-friendly coffin. says John Eric Rolfstad, executive director of People’s Memorial Association (PMA), a nonprofit funeral consumer organization in Seattle. But in funerals, he says, prices can vary as much as 300 to 400 percent. Another unique factor is the vulnerability of funeral consumers. Family members arranging for a loved one’s burial or cremation aren’t exactly clearheaded, so they’re susceptible to high-pressure sales tactics. You are under no obligation to buy your casket or urn from the funeral director. 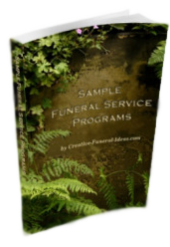 Many funeral providers offer various “packages” by bundling common goods and services. When you arrange a funeral, you have the right to buy individual goods and services. You are not required to accept the “package deal” that may include items you do not want. A funeral home must give you pricing over the phone and they must give you a price list to take with you if you want to comparison shop. Consumers are discovering by going online they have more choices and save. 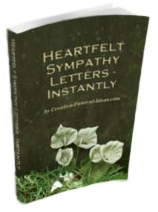 On-line casket companies deliver to the funeral home. The funeral home must agree to use it. They cannot charge you a fee for not purchasing it from them. Is Buying Online Worth It? That being said, at an emotional time like this, it is much easier to purchase your casket from the funeral home. Bring the quoted price into the funeral home and show them what you found online, and ask if they have something comparable. 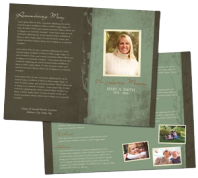 Many times, a funeral home can find something in stock at a similar quality and price.